The kit does not store the data on the SD card. The following section contains information about the SCK 2.0 and the SCK 2.1. 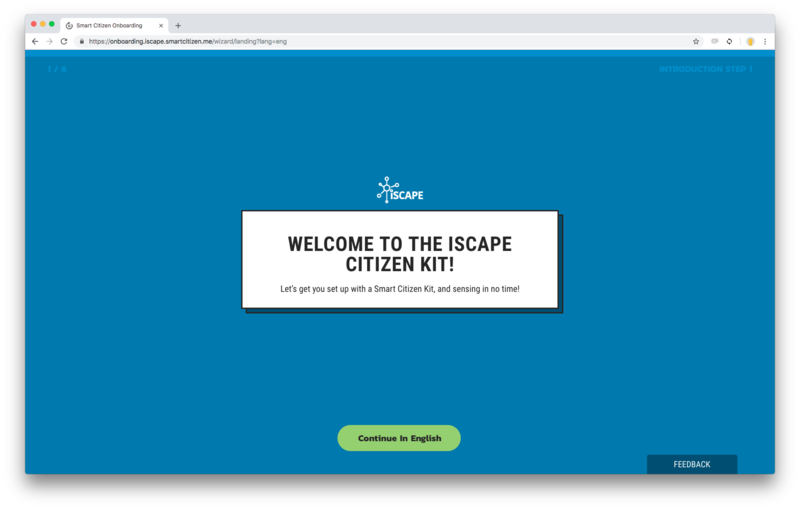 The Smart Citizen Kit 2.0. 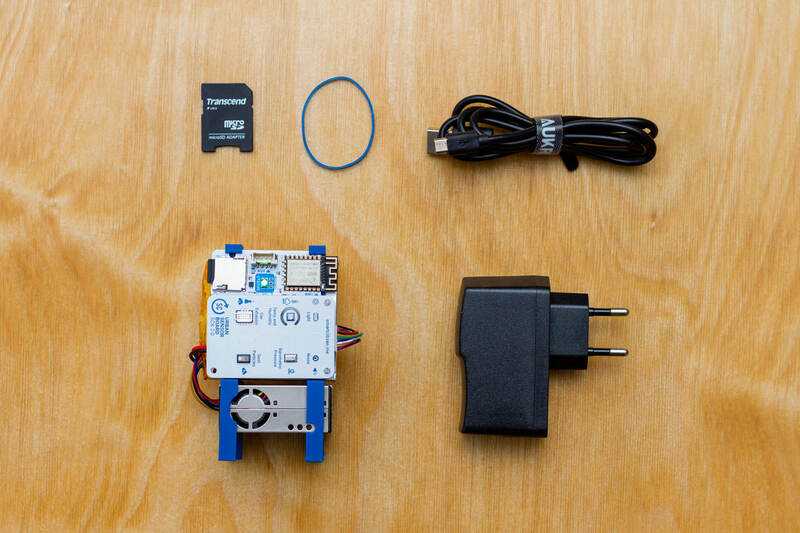 Smart Smart Citizen Kit 2.0 with particle and battery sensor with two mounting brackets. MicroSD card and microSD adapter to SD. USB cable and a USB charger to charge the battery. All the Smart Citizen Kit new sensors generation measure at least air temperature, relative humidity, noise level, ambient light, barometric pressure and particulate matter. 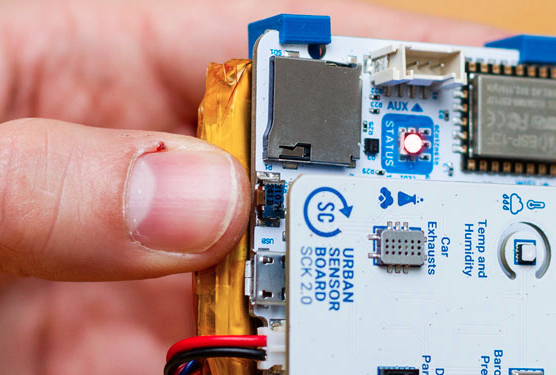 Detailed information is currently under development and can be partially found on the previous SCK 2.0 Urban Sensor Board on the Components section. The board also includes a SGX MICS-4514 and a MAXIM MAX3010 but those are not supported by the standard firmware configuration. Fore more information visit the Urban Sensor Board on the Components section. The only thing we should do is connect the battery. 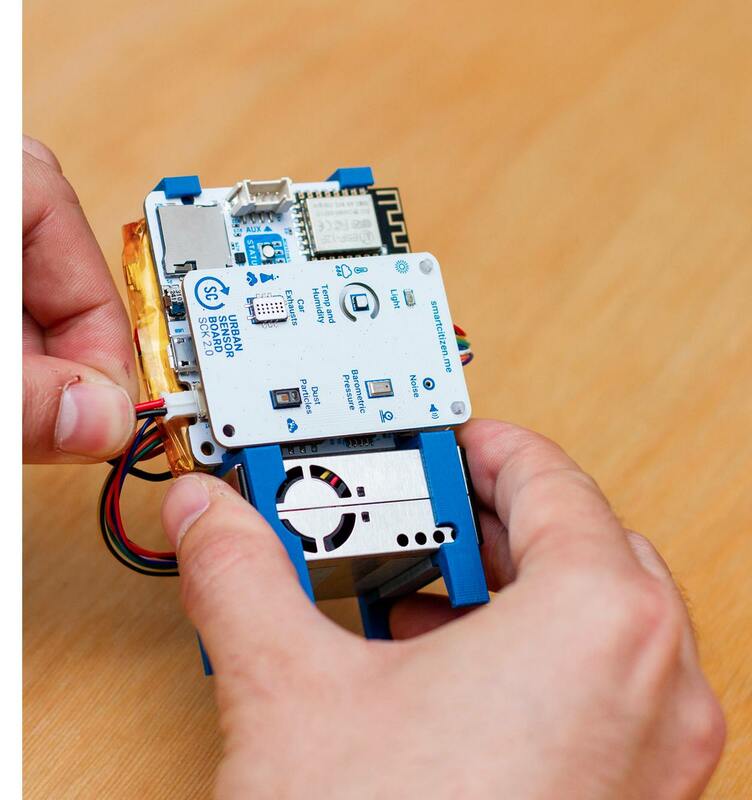 The kit will light in red and we will be able to configure it by following the instructions at start.smartcitizen.me. 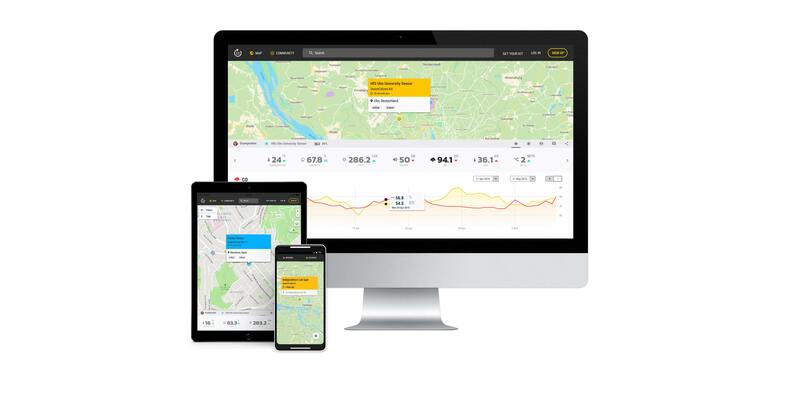 After the configuration your data will be available on the SmartCitizen platform. You can explore the data there or download it using the CSV Download option. The kit has a battery life of 12 hours. For long exposures, we can permanently connect to the USB. Keep in mind that casing is designed for short outdoor deployments. If you want a case for long exhibitions abroad, we will soon have a much more rugged enclosure ready! 4.You have now a simple enclosure to use your Kit outdoors for short measurement periods! 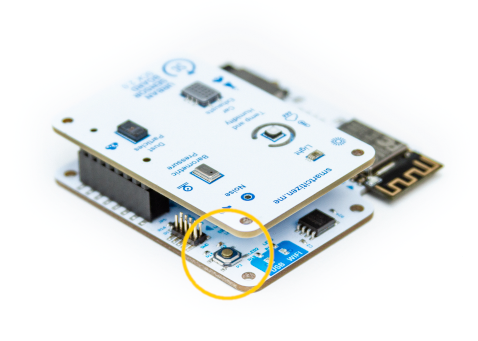 You can now install the sensor outdoors! Before configuring the Kit setup make sure the LED is red. If not, press the button multiple times until the LED turns red. You can fully reboot your Kit by pressing the reset button located under the sensors board as seen on the picture. That will not delete any configuration, it will simply restart your device. Press the RESET button for a second. The light will go off and on and the device will start again. You can also perform a reboot by disconnecting the battery and the USB cable so that the kit is restarted. In this way we will not lose any data and configuration except the time in case of being in SD mode. 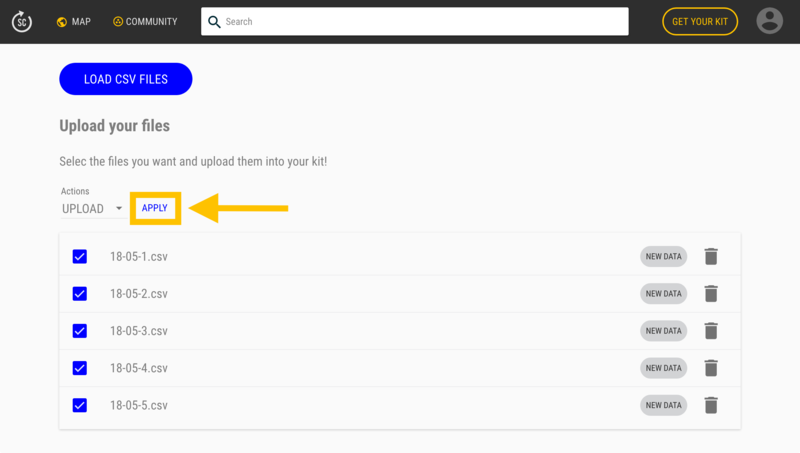 You can fully reset the Kit to the default settings so you can register again your device. Press the main button for 15 seconds. 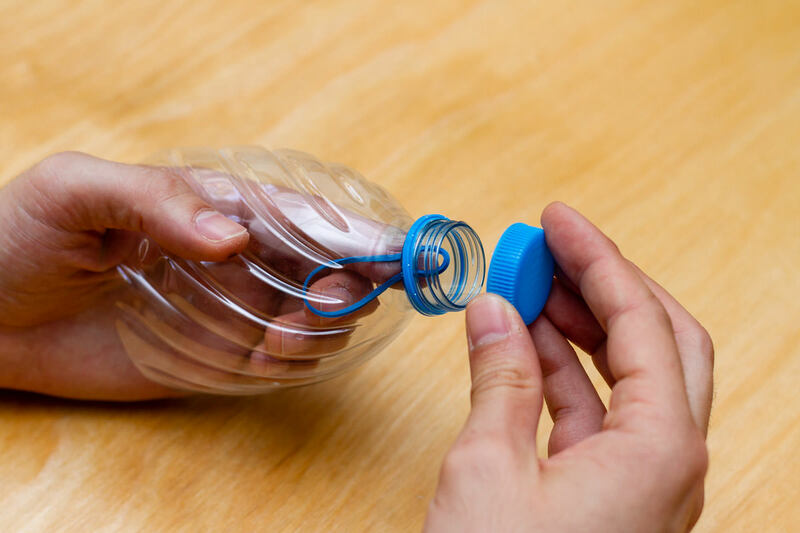 After 5 seconds the light will go off and will go on again after 15 seconds. Then you can release the button and your device will be fully resetted as a brand new Kit. First of all, push the kit button. Maybe it's simply off. 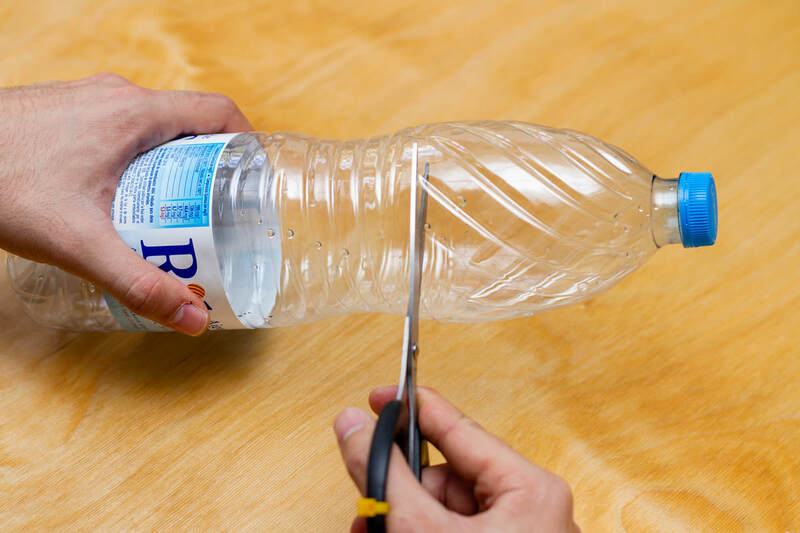 If this does not work, surely the kit has been left without battery. You will have to charge it using the USB charger. Any other mobile charger will also work. 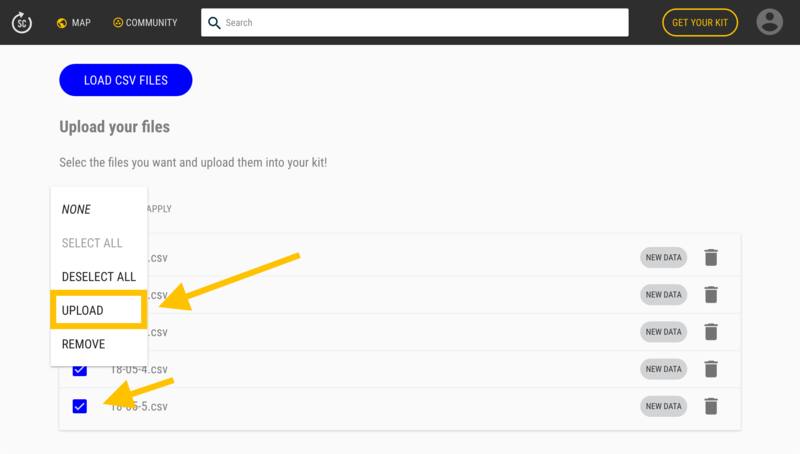 On your kits' list, click on the wheel and then on Upload CSV. 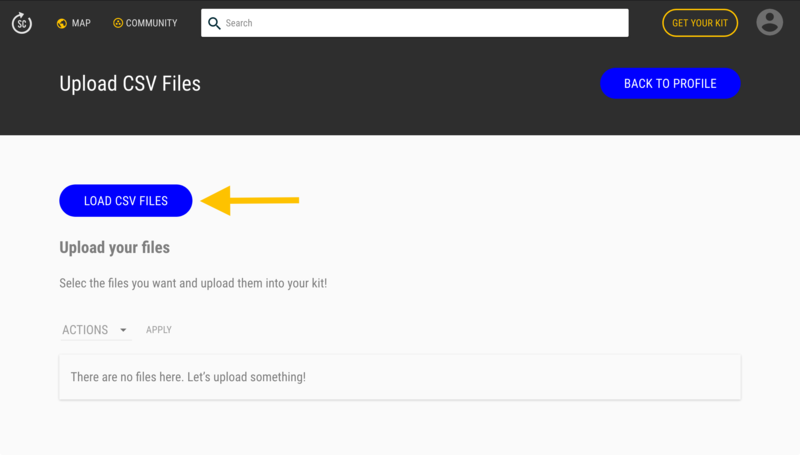 Once on the upload page, you can add some files by clicking on the Load CSV files button. 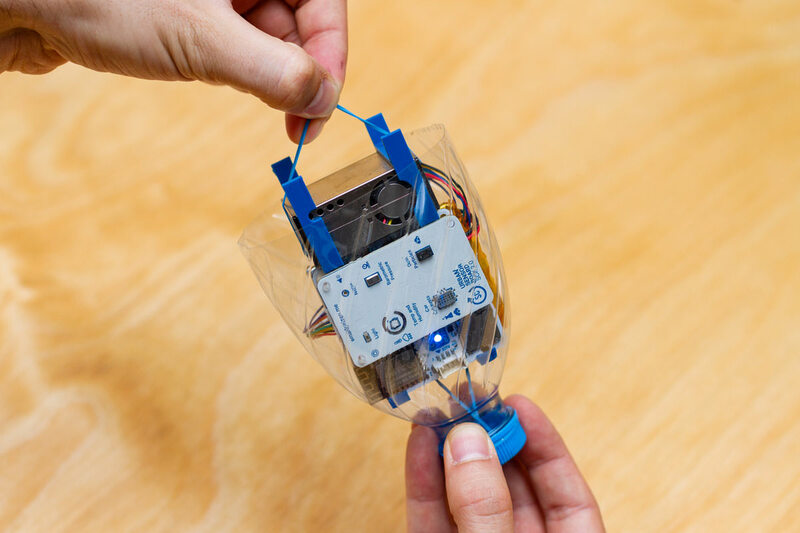 The Smart Citizen Kit, formerly known as the Low-Cost Sensor, is aimed at providing a low-cost environmental sensor solution non-technical users can easily deploy. 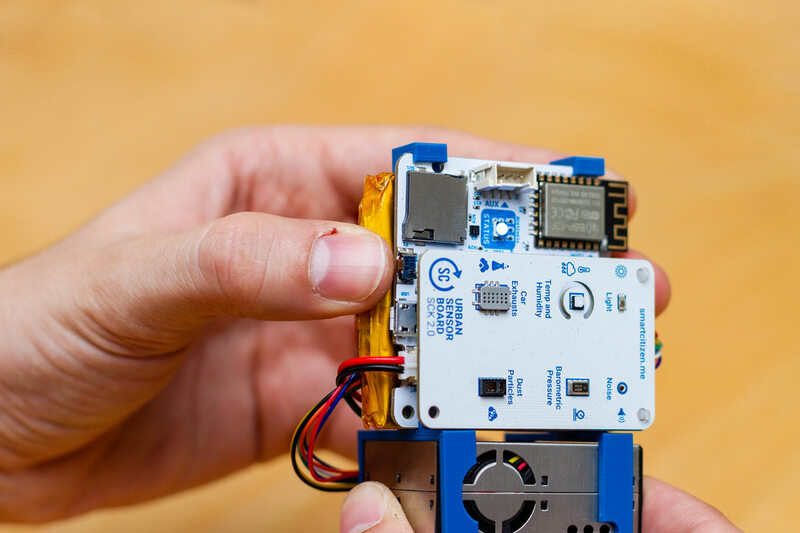 The design developed for the project is a complete reiteration of the Smart Smart Citizen Kit, a piece of hardware for citizen sensing already tested in other projects for more than five years. 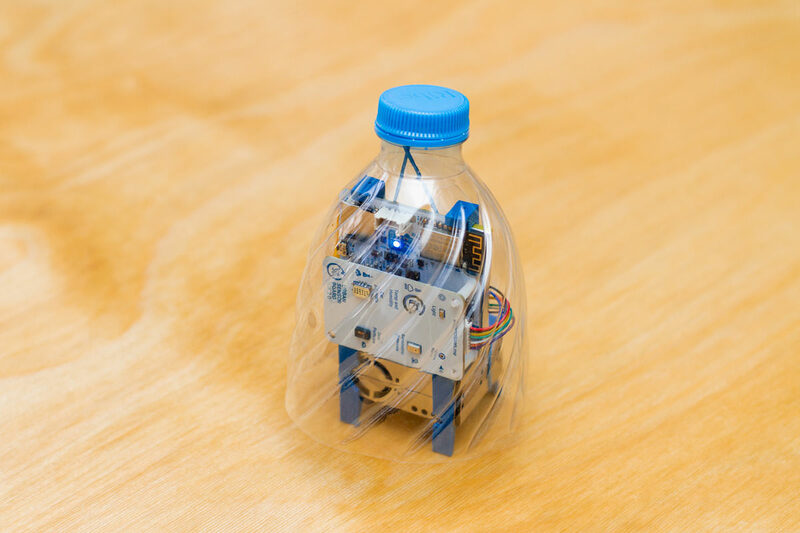 On this iteration, new sensors had been added, and all the electronic design has been redone from the ground up to improve the data accuracy and reduce the manufacturing costs. 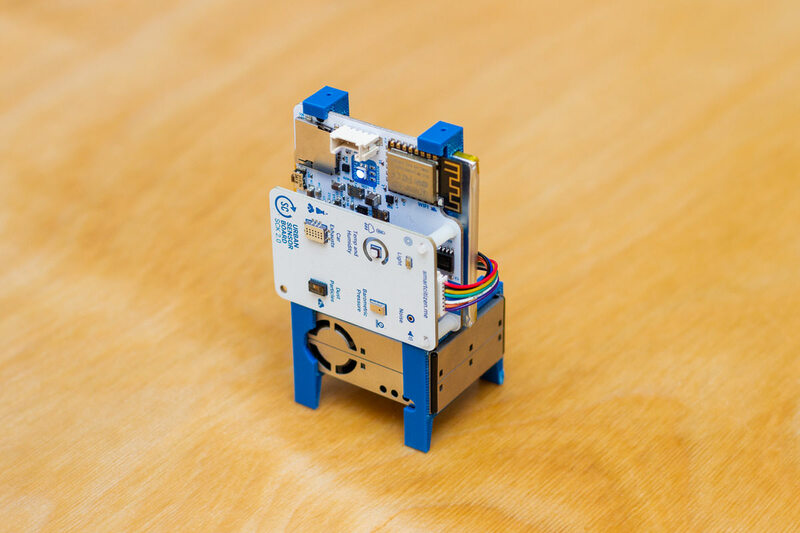 The design is built around two boards the Smart Citizen Data Board and the Smart Citizen Urban Sensor Board. The first board contains the data acquisition, the power management, and the communication unit. 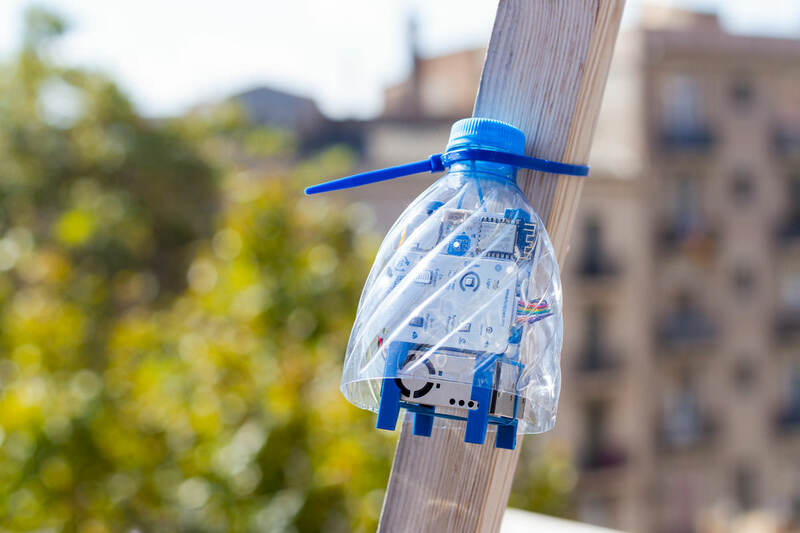 The second contains a set of sensors aimed at the outdoor urban environment including: Air Temperature, Relative Humidity, Noise Level, Ambient Light and Barometric Pressure. The board also features a section especially focused on Air Quality including a Air Particles, a Carbon Monoxide, and a Nitrogen Dioxide detectors. This sensor while not capable of offering precise measurements can be used to understand the behavior of different urban locations especially when they are calibrated on the field using certified equipment. 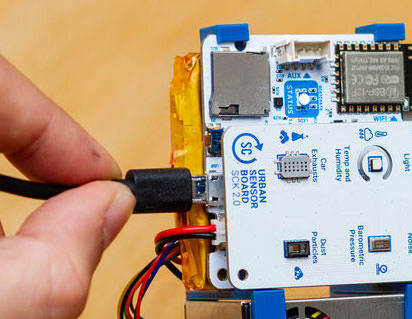 Both boards are later described in detail on the Sensor Components section. 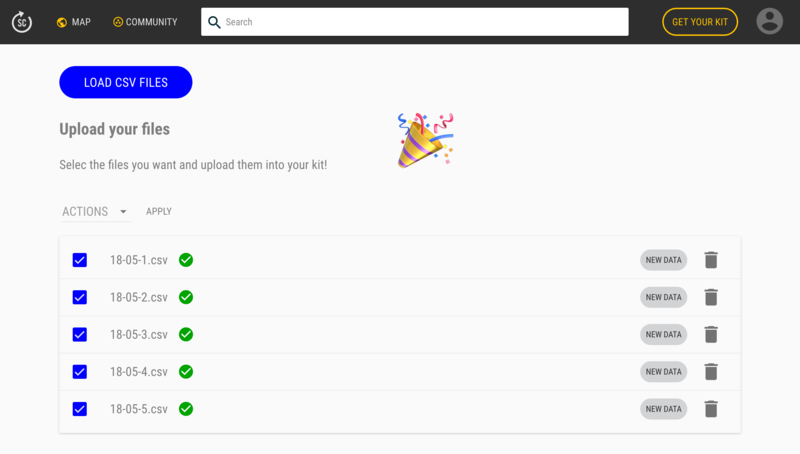 Learn more about all the components and the software inside the kit in the Components documentation section. 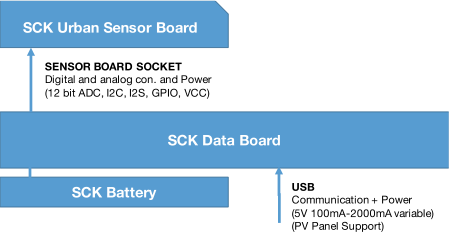 The SCK 2.0 has two components that need periodic updates. 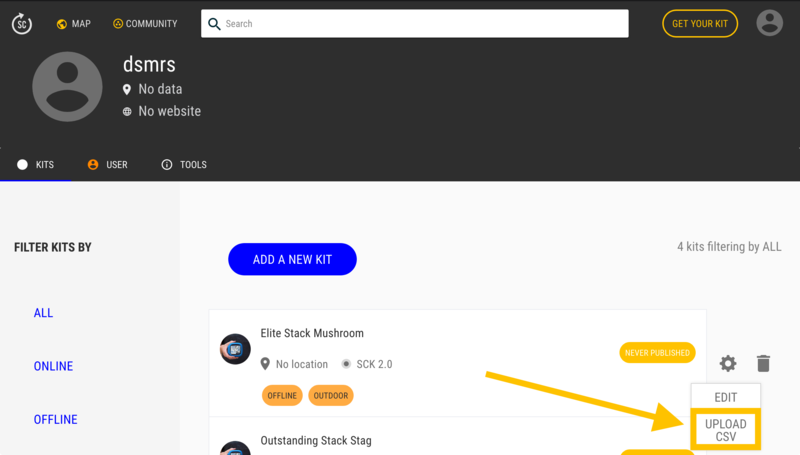 The SCK 2.0 appears as a USB Storage device and the new firmware can be installed on your kit by simply downloading the new firmware release and then dragging and dropping into the SCK 2.0 device root folder. The Wi-Fi module firmware is updated automatically over-the-air every time the main processor firmware is updated. Weight w/ enclosure: 160 gr. All sensors publishing over Wi-Fi: 12 hrs. All sensors publishing on SD card: 13 hrs. The SCK 2.0 has a micro USB port and can be charged like any Smartphone or Tablet using a dedicated adapter or a computer USB port. We recommend using a tablet power adaptor, instead of a computer USB port, for quicker charging. Autonomy can be extended by using a Power Bank, a 5V PV Panel, or with a through-glass induction charger (currently under development).